Home Boruto Kawaki’s True Power Level – How Strong Is He? Kawaki’s True Power Level – How Strong Is He? Hey you all! Hope you guys are ready for today’s post regarding NarutoVerse. In this post, I’ll be discussing Kawaki’s true power level. In the last couple of chapters we have seen quite a lot of Kawaki and his abilities as well and now have a rough idea of Kawaki’s true power. So, without further delay let us begin. First of all, we know that Kawaki will be the main rival of Boruto Uzumaki in the Boruto series. Let’s start with the first scene we saw Kawaki in the recent chapters. When he was first shown we didn’t see any of his abilities, just his Karma and that’s all. Then in the following chapter, we saw him go head-to-head against Garou who is another member of Kara organisation. 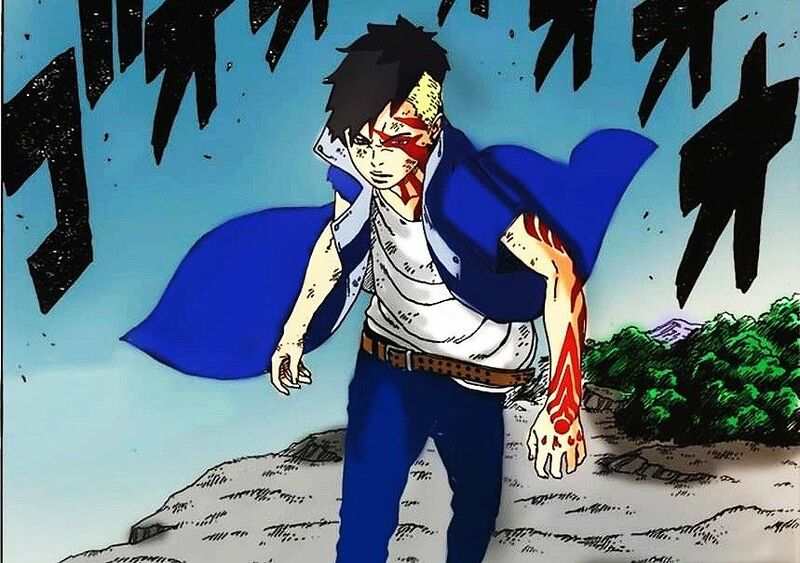 Here the first ability of Kawaki was shown. Kawaki is able to modify his own body into the shape of weapons.